Each issue of the Northeast Regional Epilepsy Group (NEREG) newsletter, we highlight a device or technology that makes the lives of people with epilepsy easier and safer. For this issue, Sloka Iyengar, PhD – clinical researcher at NEREG spoke to Meghan Conroy – founder and CEO of CaptureProof to learn more about this medical photo and video app that has received accolades by patients and clinicians alike. There are some things that words alone don’t describe, but having an objective way to measure seizure presentation, frequency, duration and exact details about each seizure would leave a lot of guesswork out of the picture. Also, it is frustrating when symptoms change or evolve before your next visit to the doctor. Having a way to show your doctor exactly what you are talking about would be quite useful - for the both of you. This is where CaptureProof comes in. CaptureProof is a ‘visual symptom tracker.’ It is an easy and secure way to track and share your body and symptoms over time through photos and videos. You can show and tell your doctor about your episode and they can see and know. Why not just text or email your clinician with your symptoms? Why is security such a big deal when it comes to patient records and data? Doctors are bound by rules of confidentiality that are defined by laws like HIPAA (Health Insurance Portability and Accountability Act) and HITECH (Health Information Technology for Economic and Clinical Health). These laws are critical to follow not only because they protect the privacy of patient data, but doctors could face huge fines for failing to protect this information. For example, if a doctor lost his phone with 20 patient pictures on it, with a fine of about $50K per piece of data, they could be facing a fine of $1,000,000! A platform like CaptureProof is ideal because it not only keeps these photos secure, but it removes the need for the doctor to organize images as they arrive. CaptureProof helps organize and store medical data in a secure and meaningful way. Signing up for CaptureProof is easy and is paid for by your doctor, so make sure you talk to him/her about your interest in using this service. The CaptureProof website is immensely user-friendly; so, even if you are not very tech-savvy, you can certainly go on to the website, read the tutorials and watch YouTube videos on how to navigate the website and use the app. 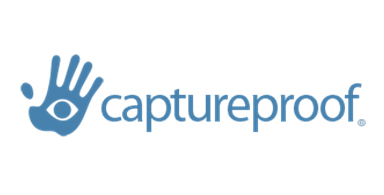 The website answers a lot of questions you might have, but if you have a question that is not answered, feel free to email help@captureproof.com. If you have more than one doctor involved in your care and management, they can all communicate with each other using CaptureProof. It is important to realize however, that CaptureProof is not meant for emergency situations. If there is an emergency, call 911 and educate yourself about emergency situations that may co-occur with epilepsy. The best part about CaptureProof is that they provide free and unlimited support and are completely dedicated to improving the lives of everyone, not just individuals with epilepsy. We would like to urge you to check out CaptureProof as a potential tool to better manage your epilepsy and overall health!